Posted byVincent Cooke	 January 27, 2018 March 4, 2019 Leave a comment on Bulk Mailing Treasures: How SMTP Servers Bring Benefits to Marketers? Sometimes, we overlook many obvious facts standing right in front of our eyes. For example, the fact that all emails run through one or another SMTP server is often left beyond our attention. Of course, many professional email marketers are aware of this fact. However, not always they are able to build a line of logical reasoning coming from that fact on their own. Being focused on the other aspects of creating their email campaigns, they are passing by those numerous advantages that an implementation of the dedicated SMTP servers can offer. Many may argue that the true creativity of email marketers can hardly go in line with such purely technical issues as the SMTP servers or DKIM cryptographic signatures, for instance. This is only a part of the truth, in fact, since a complex approach to the email campaign is needed in order to get really perfect results. At the same time, the majority of the email marketers use various services of the professional bulk sending systems such as SendPulse. The main reason for doing so is to shift numerous routine tasks and complicated technical issues on to the shoulders of the advanced email sending platforms. Indeed, everybody should go about their own business, and an e-commerce website should focus on its retail sales most of all without having to bother about SMTP servers or any other peculiar question inherent in a bulk mailing activity. Nevertheless, such beneficial options as dedicated IPs or SMTP servers should not be underestimated by the marketers. Besides, the better deliverability of emails as well as the correct authentication of senders correlate directly with the efficiency of each email campaign and therefore with the higher ROI. 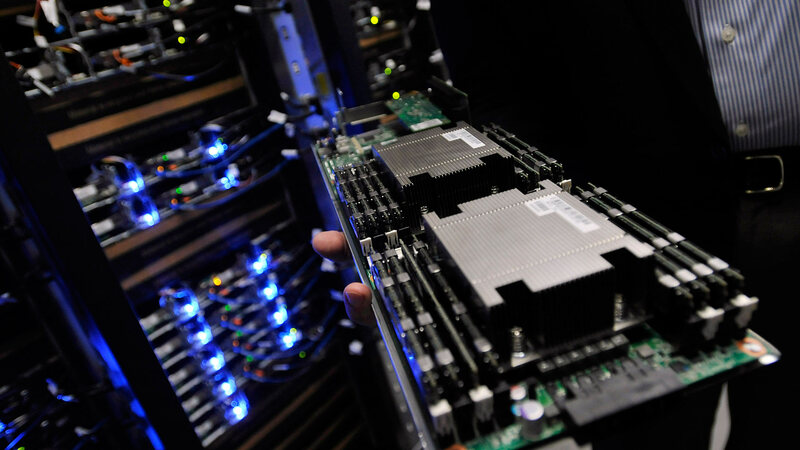 What Do SMTP Servers Promise? Before getting down to the detailed explanation of the peculiar features of using an SMTP server, the advantages of such a marketing approach are worth mentioning. 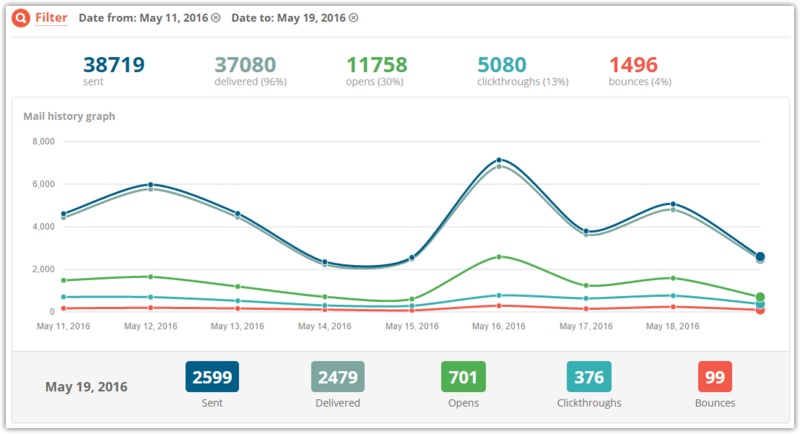 real-time tracking along with the advanced analytics of email campaigns. In fact, there are two main options for using SMTP servers by email marketers. The first one implies a standalone dedicated SMTP server owned by a company. It means a hardware-software complex operated by a single organization in order to arrange a large-scale independent mailing activity. Such an approach allows marketers to send almost an unlimited amount of emails from their own dedicated IP address. Alongside the certain advantages this approach provides, the necessity of arranging the whole infrastructure entailing quite significant extra expenses makes the own SMTP server barely relevant to many small and middle-sized businesses whose subscriber databases do not imply a huge email traffic. Another option provides using an SMTP server which belongs to the professional bulk sending platforms such as SendPulse. This approach offers the similar advantages as is the case with the first option but the infrastructural expenses along with the hardware maintenance are shifted on to the shoulders of the bulk sending platform. Besides, such accompanying services as a spotless dedicated IP address, cryptographic signatures, and profound analytics are added to the SMTP server by SendPulse. It means that the email marketers can focus on the content of their email campaigns to a greater extent being released from many aspects of a day-to-day routine. One of the main reasons why marketers should use an SMTP server is the number of emails they can send during a certain period – an hour, a day, or a month. Since all popular email providers such as Gmail, Outlook, and Yahoo care about the equal opportunities for all their users, they have their own specific quantitative limitations with regard to the number of emails each user can send through their mail servers. That’s why even a “humble” amount of several hundreds of emails per a day will be recognized by the email providers as spam most likely. 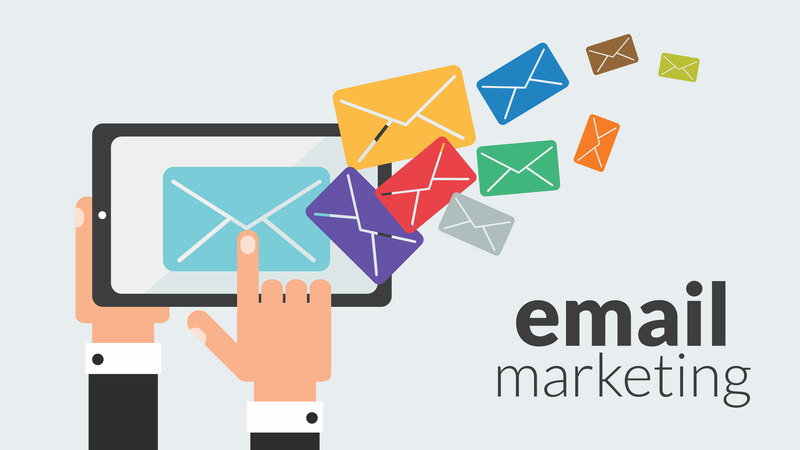 Hence, even a small-sized business conducting an active email marketing can hardly count on the successful campaigns executed on common terms. In contrast to that general approach, the SMTP service of SendPulse offers the guaranteed deliverability of 100,000 emails per hour including 12,000 emails per month for free. Another crucial advantage of the SendPulse SMTP server relies on the sustainable deliverability of emails. In order to provide all sent emails with an ability to reach the recipients’ inboxes, SendPulse has developed a special strategy which includes several dedicated technologies. At its core, all the technologies are aimed at vouching for the sender’s reputation. In fact, just a proper authenticity verification allows the mass emails to pass unhindered through spam filters appearing in the subscribers’ mailboxes. Once both the email providers and the end recipients appreciate the trustworthy senders, such methods of proving the sender’s integrity as spotless IP addresses, DKIM and SPF cryptographic signatures, and SSL connection all are included in the deliverability strategy of the SendPulse SMTP service. When the very idea of using a dedicated IP address as an immaculate sender’s verification is quite comprehensible without diving deep into the technical details, the other two technologies DKIM and SPF need to be explained. The DomainKeys Identified Mail (DKIM) technology was developed in cooperation with such digital giants as IBM, Microsoft, Cisco, and Yahoo in order to represent a cryptographically empowered identifier of domain names. Acting independently from the other identifiers available in a message, DKIM provides authorization of a sender’s domain name validated unmistakably. Another technology Sender Policy Framework (SPF) represents a standardized method of protecting a sender address against forgery. Both DKIM and SPF are applied to the SendPulse SMTP service as the advanced technologies able to enforce both the legitimacy and reputation of the email marketers. And the last but not least motivation of email marketers for using the SendPulse SMTP service should be the advanced analytics accompanying each email campaign. Since a 100% open rate is just a dream and any marketing technique is not able to guarantee that all emails reach their recipients, the statistics showing what happens with emails is crucially important for the marketers. The conversion and open rates, cross-link clicks, completed deliveries, unsubscribing dynamics, as well as the other important data derived from every particular email campaign, all are depicted in the reports created by the SendPulse system. The reports are made in the form of the easily readable charts visualizing the statistics in a convenient manner. 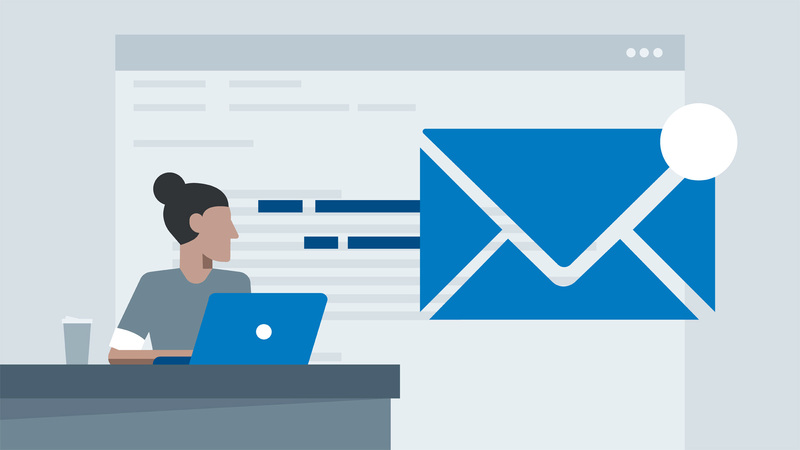 Having no intention to diminish the role of creativity in the work of email marketers, SendPulse SMTP service emphasizes the importance of the advanced technical solutions for the truly efficient email campaigns. The deliverability of emails can be significantly improved by means of using an SMTP server when the bulk mailing is performed with no regard to both the spam filters and quantitative restrictions of the conventional email providers. Once the high open rate correlates directly with a sender reputation, the advanced authentication technologies such as spotless IP addresses, reliable SSL connection, and the DKIM and SPF identifiers offered as a combination by the SendPulse SMTP service are strongly recommended to every professional email marketer. 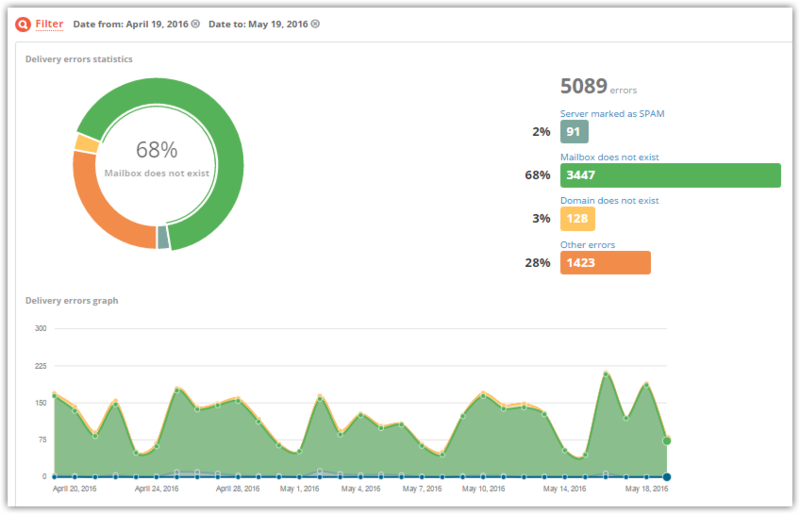 Building an effective marketing strategy is hardly imaginable without an advanced analytics, therefore the visualized statistical reports generated by the SendPulse SMTP service is just icing on the cake every email marketer can successfully bake.